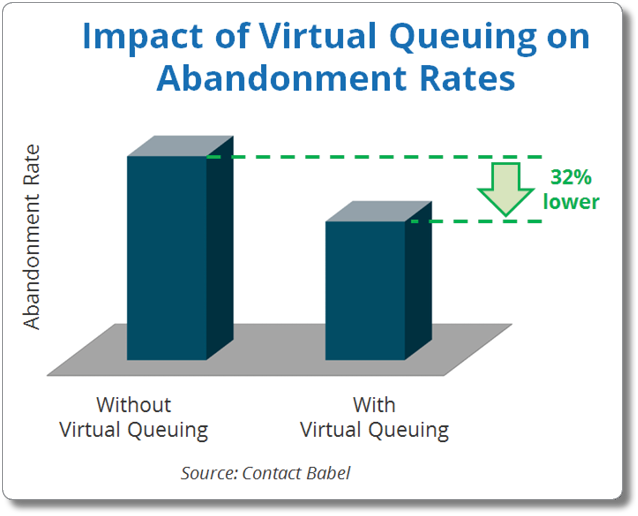 Virtual queuing is a powerful technology that can benefit your call center in many ways. Although virtual queuing has been in existence for decades, many people aren’t familiar with the term. Quite simply, it means holding a caller’s place in line – “virtually” – so that they can remain in the queue without actually having to stay on the phone. Most commonly, this is done by collecting the caller’s phone number and then calling them back when an agent is free. 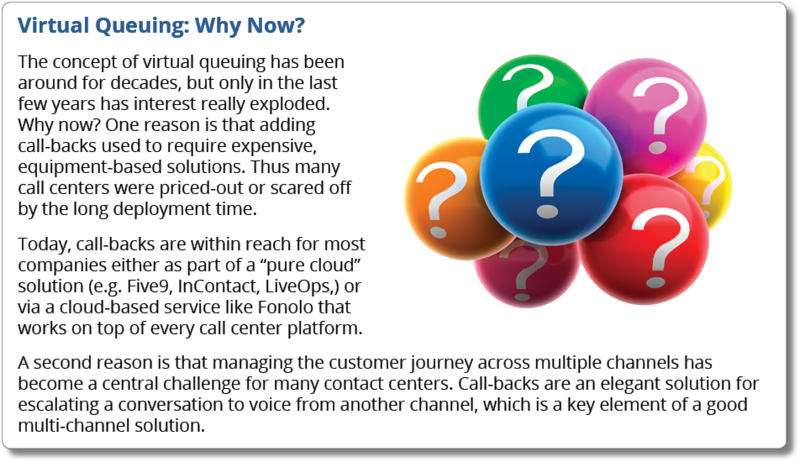 So, in short, virtual queuing means “replacing hold-time with a call-back”. 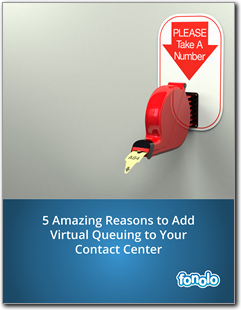 Here are 5 amazing benefits your call center can realize by using virtual queuing. The most obvious and immediate advantage to virtual queuing is an improvement in customer satisfaction. If you ask consumers what can ruin the call center experience for them, “waiting on hold” is consistently at the top of the list. Consider a survey done by Consumer Reports on “Top Gripes” related to phone-based customer service (shown below). 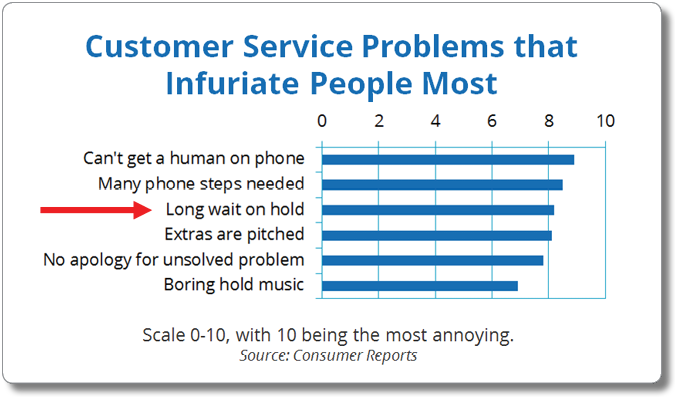 Of all phone related complaints, “can’t get a human on phone” and “long wait on hold” are ranked first and third, respectively. By giving callers the option to receive a call-back instead of waiting on hold, you can remove one of the most dreaded parts of the contact center experience. 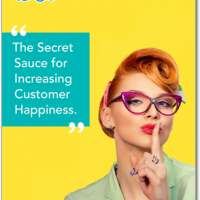 Virtual queuing is more than just removing a negative, it’s also adding a positive: Offering a call-back shows customers that you respect their time, and paints your brand in a good light. Two recent surveys show that consumers have a very positive view of call-backs. The first, conducted by Forrester, found that 75% of customers think the option of a call-back is “highly appealing”. And the second, conducted by SoftwareAdvice.com, found that 61% of customers would prefer a call-back to waiting on hold, every time. But let’s broaden the discussion, beyond specific complaints, to see a very important trend affecting all customer-facing businesses. Consumers have become much more demanding of a flawless customer service experience. Delivering such an experience has become vital to business success. A study from YouGov shows that 76% of respondents said, “just one unpleasant contact center experience was likely to make them take their business elsewhere”. According to Gartner, organizations that prioritize the customer experience generate 60% higher profits than their competitors. Businesses are responding by investing more in this area. In particular, 68% are increasing their investment in customer management. 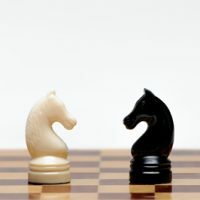 Once the decision is made to spend more on the call center, the key question becomes, “what technologies will yield the most improvement in customer experience for the least cost”. As this document will show, virtual queuing is at the top of that list, because it’s a technology that brings multiple benefits and it’s relatively easy to deploy. A call is abandoned when a customer phones a call center to speak to an agent, but hangs-up before the call is connected. 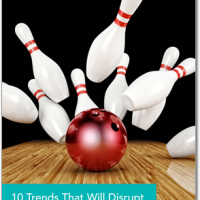 Abandonment leads to higher repeat calls (which can strain the call center system) and, of course, dissatisfied customers. This is why many call center managers watch the abandon rate metric very closely. As discussed in the previous section, consumers’ expectations are rising, while their tolerance for waiting on hold is falling. According to Velaro, 60% of customers are not willing to wait more than one minute on hold. It should come as no surprise that call abandonment is also on the rise (from 5% in 2003 to over 13% in 2010). Each abandoned call reduces First Call Resolution (FCR) rates and, more importantly, is a bad memory for that customer. Worst of all, it may be the final straw that sends them to a competitor. You can only tell customers that “your call matters to us, please be patient” so many times before they hang up the phone. The obvious way to lower abandonment rate is to lower hold times, and the obvious way to do that is to hire more agents. 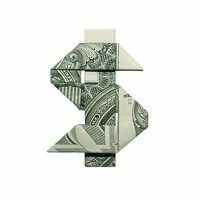 If you have the budget, you can just add agents until your abandonment rate shrinks down to your target level. However in the real world, budgets are always constrained, making this solution unrealistic. 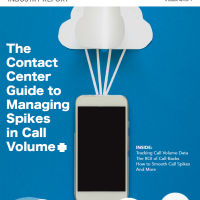 For call centers with occasional volume spikes, the situation is even trickier. If one staffs to the peak volume, there will be a lot of excess agent capacity at other times (more on this in section 4). Virtual queuing is an excellent way to tackle this problem. According to Contact Babel’s recent survey of 200 call centers, those that offered a call-back option to callers had a 32% lower average abandonment rate. Don’t miss the last 3 reasons! Download the full report below. It got me when you said that this system will be able to decrease the abandonment rate of customers. With that in mind, I will suggest this to a friend of mine who will be starting a business next year. The business that he is thinking of has no competitor in our location yet that is why we think that there will be queueing once he opens it to the public. This will help them retain customers no matter the queue. So glad you found the article useful, Millie!